Worried about Using Harsh Chemicals in Your Home? 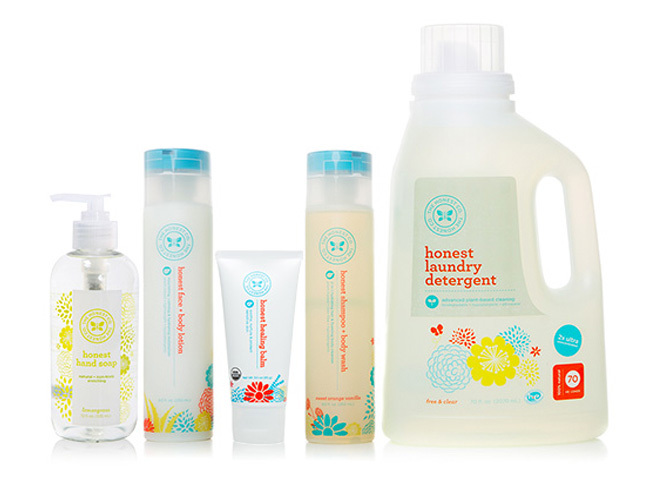 If you’re concerned about continuously dousing your home with strong chemicals to keep things clean for your family, check out these non-caustic and cost effective products from The Honest Company. It all began innocently with a delightfully scented hand sanitizer that I first used while visiting a friend's home. She had just delivered her first baby, so all of us were diligently disinfecting our hands before holding her adorable new bundle. I’ve never been a person who’s big on using hand sanitizers, but this No-Rinse Hand Sanitizer Gel is so easy to use and has such a wonderful fresh scent that it immediately had me hooked. Unlike other hand sanitizer’s I’ve tried, this gel left my hands smelling fresh and feeling moisturized….not dried out. I did a little more research and learned that it’s derived from wood cellulose and vegetable glycerin, so it doesn't contain harsh chemicals. Aloe and Vitamin E are the ingredients that provide it's wonderfully moisturizing effect. When I was again visiting this same friend’s house on another day, the niftiest looking bundle ever (aside from her adorable new baby boy of course!) 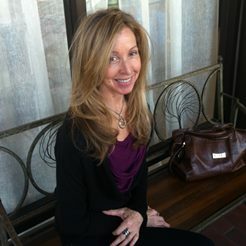 arrived on her front doorstep and it gave me an even closer look into the vast array of cool products this company offers. They carry products all the way from diapers, whole-food based supplements and non-toxic home cleaning essentials all the way through to shampoos, lotions and body washes. My friend subscribes to their discounted Bundle Purchasing Program because it gives her 25-35% savings with every bundle she orders. One of her favorite items are their eco-friendly disposable diapers that are gentle for babies sensitive skin and have the cutest patterns ever printed on them. As with hand sanitizers, I’ve never been big on subscribing to monthly purchase programs that require you to commit to purchasing a set amount of items each month. But don’t be deterred by this Bundle purchasing program. It's been carefully designed so you're in control and can customize, adjust and self-schedule your own program online at any time of the day. For instance, if you’re going on vacation or you find you’re building up too much inventory, you just go online and change, reschedule or even cancel your next scheduled order. Plus, they also offer a variety of Trial Packets for a very nominal fee so you can try out a few things first, before committing to buying larger quantities. I ordered their Essentials Bundle Trial Package that includes trial sized samples of their Shampoo & Body Wash, Face and Body Lotion, Laundry Detergent, Healing Balm and Hand Soap. So far I’ve enjoyed using all of these products and I was thrilled to discover that their laundry detergent was not only a free & clear hypoallergenic laundry solution, but it's also compatible with HE washing machines too. You can also buy items individually online, so there’s no need to commit to purchasing in bundled orders, unless you’re interested in receiving the benefits of their discounted bundle pricing.